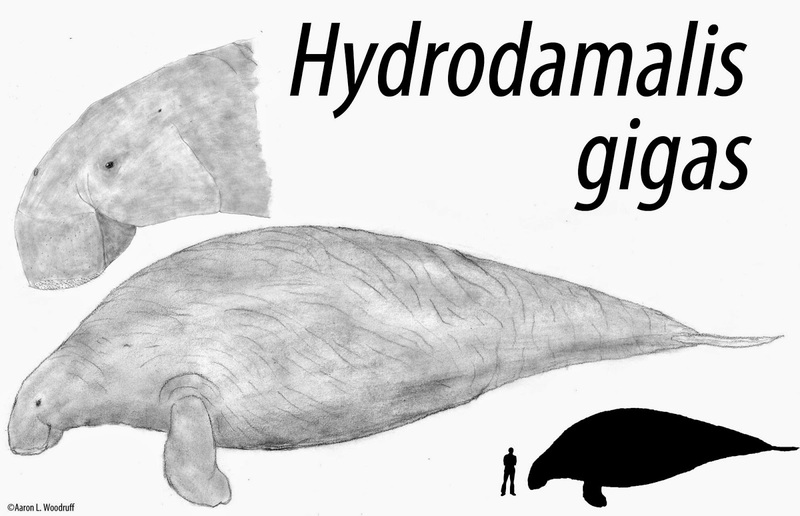 The Steller’s Sea Cow (Hydrodamalis gigas) was the largest of the sirenians to have lived in recent times, growing up to 9 meters long and 10 tons. Described by and later named for Georg Wilhelm Steller in 1741, these slow-moving animals were easily captured and were hunted to extinction by 1768, 27 years after its discovery by Europeans. Its closest living relative is the Dougong (Dugong dugon) which lives in the south Pacific and Indian Ocean. 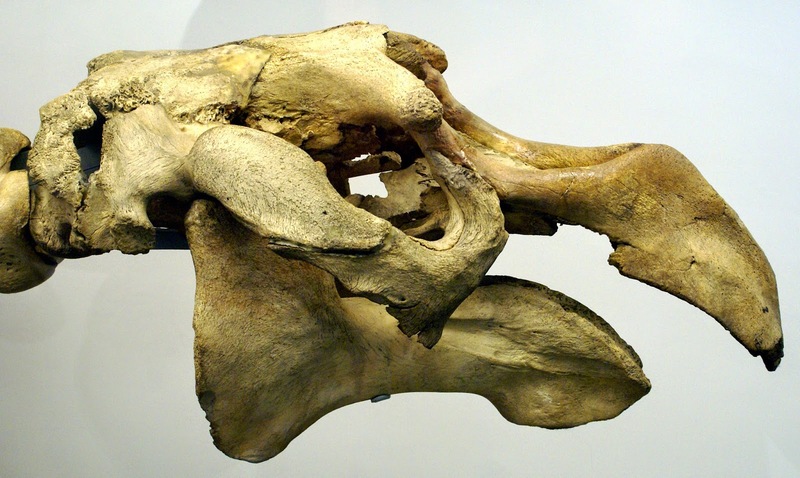 Pleistocene-Holocene age fossils indicate that Steller’s Sea Cows were formerly abundant throughout the north Pacific, reaching south to California and Japan and north to Alaska and Russia. By the time it was described by Steller in 1741, its range had apparently been drastically reduced to a single isolated population surrounded by the then uninhabited Commander Islands. They inhabited kelp forests and kelp beds near the coasts and were restricted to surface waters, not being able to dive deeply. Steller’s Sea Cow were the largest of the sirenians to have lived in recent times. The head was rather small compared to its huge body with a very broad upper lip that extended beyond the mandible, making it appear as though the mouth is located underneath the skull. The mouth itself is small and toothless with double lips on the upper and lower jaws. The space between the lips is filled with very dense and thick 38mm (1.5in) long bristles that take the place of teeth, used to hold and pull its food. The skin, according to Steller, was very thick, hairless, and wrinkled, reminiscent to the bark of an oak tree and nearly impervious to a blow from an ax or hook. For propulsion, Steller’s Sea Cows had a wide, whale-like tail flukes similar to that of dugongs. Also according to Steller, the sea cows could use their stout forelimbs for steering, “walking” along the ocean bottom, bracing themselves on rocks, embracing each other, and digging for algae and sea grasses, all of which are behaviors consistent with extant sirenians. Steller’s Sea Cow fed on a variety of the marine algae known as kelp, which they ate by ripping up out of the sea floor by the roots. Steller noted that wherever the animals had been feeding, the roots and stalks of kelp would wash up on the near shores in heaps. 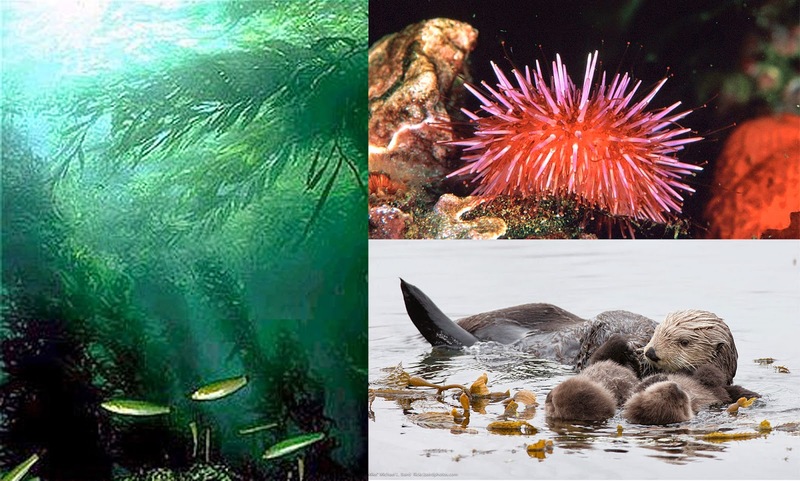 Kelp forests are among the most productive and dynamic ecosystems on Earth and the Steller's Sea Cow was the largest animal to have exploited this rich food source. This species' waste material likely enriched the kelp fields in which it lived and fed by adding extra nutrients. Steller's Sea Cows moved at a very slow and steady pace, and probably had a slow metabolic rate and could have subsisted on a relatively small food intake. Steller described them as being locally numerous and apparently very sociable. Prior to human exploitation, the Steller’s Sea Cow’s only predators were the Orca (Orcinus orca) and the giant shark Megalodon (Carcharodon megalodon). They were relatively slow swimmers and apparently unable to submerge, needing to rely on their rough skin and proximity to the shore to shield them from predators. When in danger, this animal could probably put on a sudden burst of speed of 15 to 20mph. The early decline of the Steller’s Sea Cow may have been an indirect result of the harvest of Sea Otters (Enhydra lutris) by indigenous peoples along the continental shorelines. The otters play a key role in maintaining the sea urchin population, which would have competed with the sea cows for kelp. As observed in recent times, when the otter population is reduced, the sea urchin population explodes and the invertebrates decimate the kelp forests in which they live. This added competition for food combined with direct hunting of the sea cows themselves are the most likely reason for its drastic decline. Their tendency to live close to shore, slow swimming speed, and inability to dive deeply made them particularly easy to hunt, something which later European sailors would exploit to disastrous effect. By the time Vitus Bering arrived to the north Pacific, the animals’ population had been limited to the coasts of islands that had been uninhabited by humans. After its discovery, Steller’s Sea Cow were quickly wiped out by sailors, seal hunters, and fur traders who hunted it for its meat, skin, and fat. The tough skin was suitable for making boats, and the oil from its blubber was particularly prized because it could be used as a butter substitute and as fuel for oil lamps for it did not emit odor or smoke and kept for a long time in warm weather without spoiling. When formally described by Steller, Steller’s Sea Cows already had a very small and limited range. Their numbers were so low that zoologist Leonard Hess Stejneger estimated that when Steller found them, their population was around 1,500 individuals. Thus, it was already in immediate danger of extinction at the time. Unfortunately, this observation was made long after the fact, and overhunting led to this species extinction by 1768. 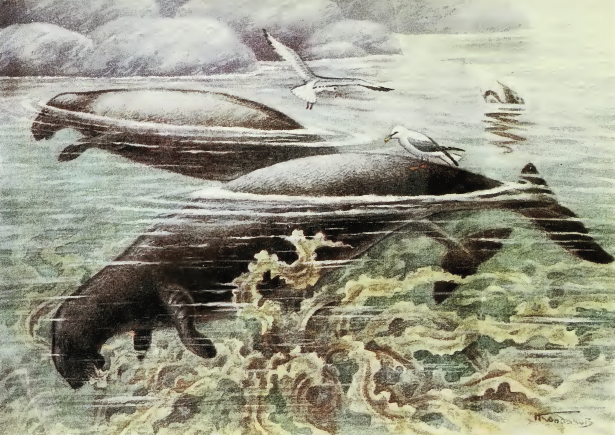 There is further evidence that Steller’s Sea Cow also inhabited the Near Islands and oral tradition on the island of Attu suggests that they were still being hunted there after their extinction on the Commander Islands. Scheffer, Victor B. (November 1972). "The Weight of the Steller Sea Cow". Journal of Mammalogy 53 (4): 912–914. doi:10.2307/1379236. JSTOR 1379236. Ellis, Richard (2004). No Turning Back: The Life and Death of Animal Species. New York City: Harper Perennial. p. 134. ISBN 0-06-055804-0.